Product is currently undergoing re-design. Watch this page for updates. Two monitors, up to 37” wide and 20 lbs each, on the same high-quality dual monitor arm—the Concerto Dual Screen Two-Arm is the ergonomic standing desk solution you’ve been waiting for. It’s made in America from the highest quality components, designed for both ease-of-installation and style, and it even features a 12” pole that will allow taller users to view their monitors at the proper height. Bring on your huge monitors. The Concerto Dual Screen Two-Arm can fit up to two 39” wide monitors side by side, up to 20 lbs each, allowing you to view content at your standing desk or treadmill desk in a way that’s more than ergonomic—it’s inspiring. The Concerto line of monitor arms is the solution that tall standing desk and treadmill desk users have been waiting for. No more staring down at your screen and straining your neck while standing—even for users up to 6'8” tall. 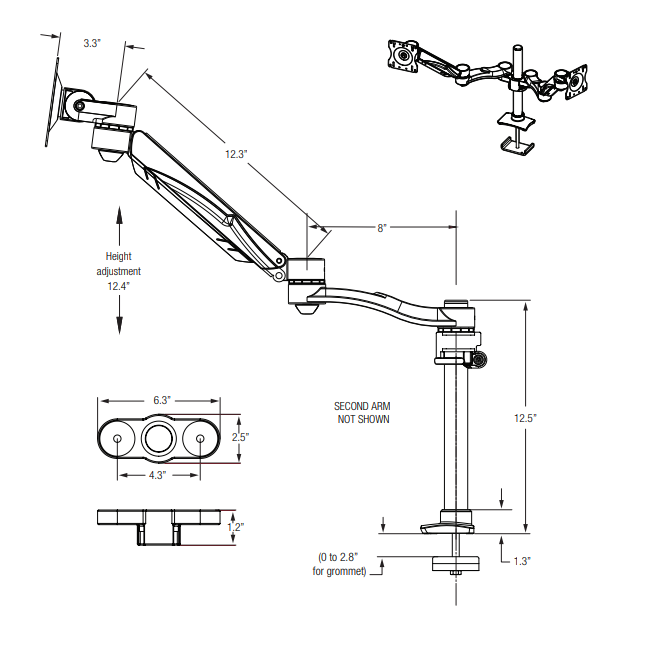 Our Concerto family of monitor arms is manufactured in Grand Rapids, Michigan. 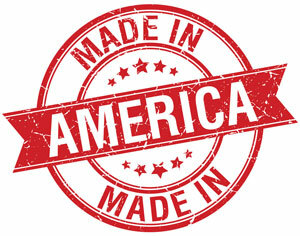 Our streamlined and advanced production exemplifies the high-quality that American-made products are known for. The more electronics you have, the messier your workstation tends to become. The Concerto arms help cut down on clutter, featuring built-in cable management so you can keep your monitor cables out of sight and out of mind. Ergonomic accessories shouldn’t come at the cost of cleanliness. The Concerto monitor arm is easy to set up and easy to use. Mount to either the edge of your desk or a grommet hole with no tools required. Concerto Line: High-class looks and a taller pole make concerto the go-to for taller users and treadmill-deskers. 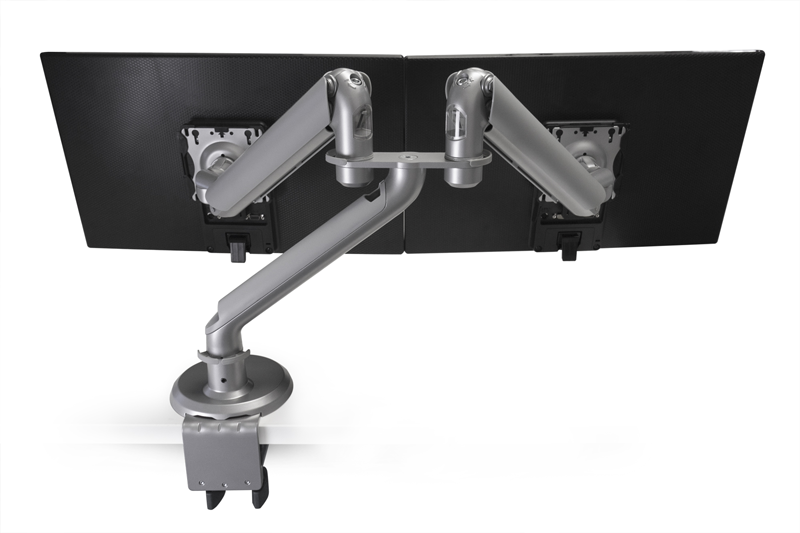 An extra-wide option is available for those looking to mount two large monitors (up to 39” wide each) on the same branching monitor arm. Proudly made in the USA. All Concerto Monitor Arms come with an impressive 15-year limited warranty.